The Yate Loon 140mm quiet case fan has a true 29 dB(a) decibel rating - measured in an anechoic chamber using ISO standards. This 140mm case fan is extremely quiet case fan. Yet, it measures at 62 CFM airflow level and is available at a reasonable price. 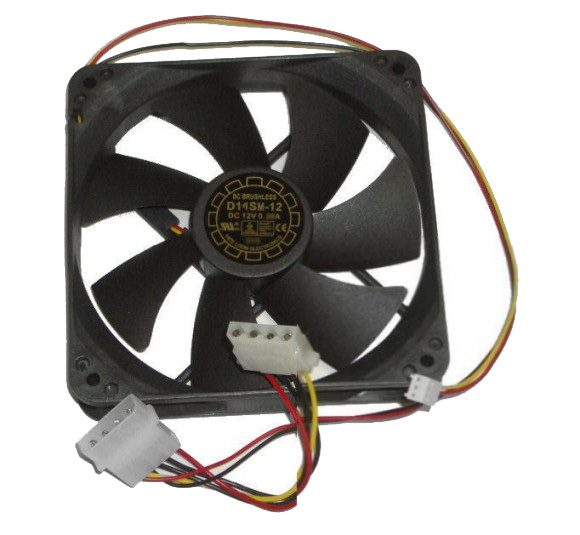 This quiet fan also includes the added advantage of both a 3-pin motherboard power connector and a 4-pin standard power connector.